The hardest part about stashbusting is getting rid of those favorite fabrics. 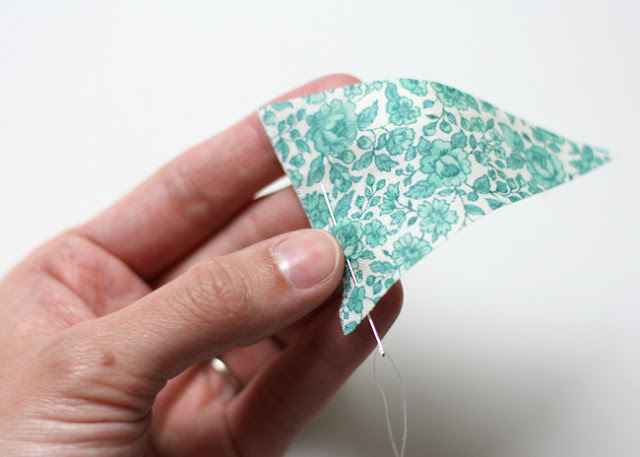 One way to remember them and save them is to make a Swatch Bunting Tutorial and use up those small pieces of fabric from your stash. Today I’d like to welcome an old friend Michael Ann from Michael Ann Made. She has an adorable little baby boy who is the cutest model for her free knitting big pom baby beanie. 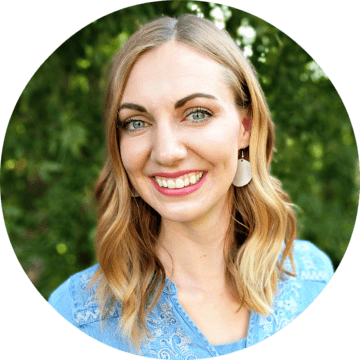 She takes amazing photos and is super crafty! Check out her great rain drop scarf tutorial. I am a terribly visual person, to the point where if I don’t see something, I forget it’s even there. 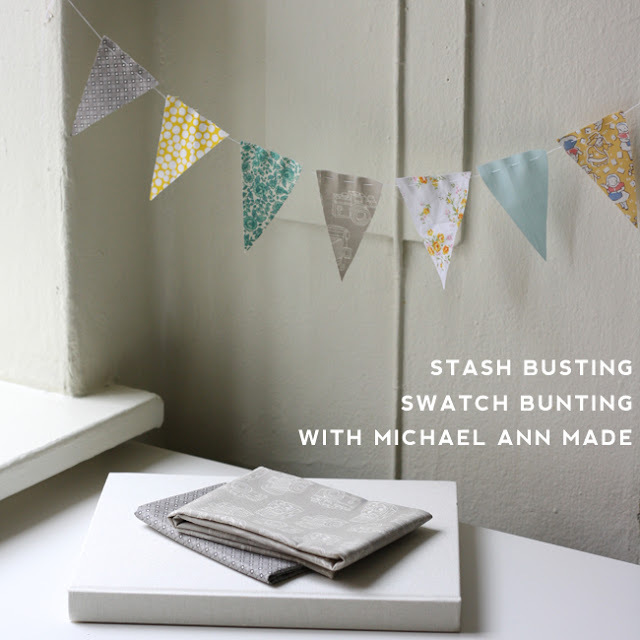 That’s where I came up with the idea for this stash busting swatch bunting. By hanging little swatches of fabric in my stash in my craft nook right where I can see it, I know what I have available to use when I’m starting a new project. And I get to look at all my pretties instead of having them jammed in a closet! Cut out small triangles of the fabric you want to inspire you. 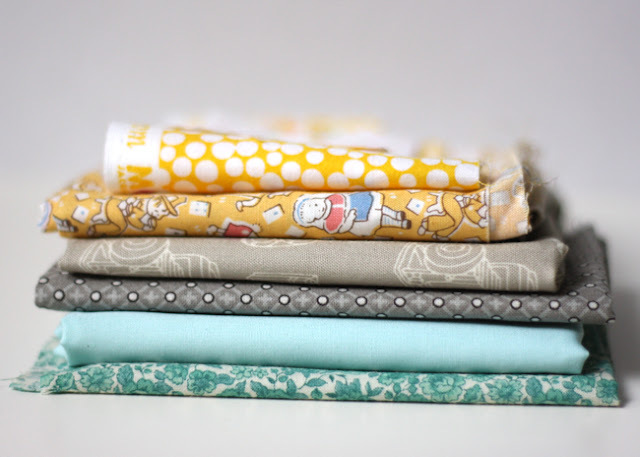 I just used a couple pieces that I’ve been particularly in love with lately, but theoretically you could cut a piece of every fabric in your stash and cover your whole craft space! Thread a needle with a double length of thread as long as you expect your bunting to be, and sew together all your triangles, a couple stitches each. 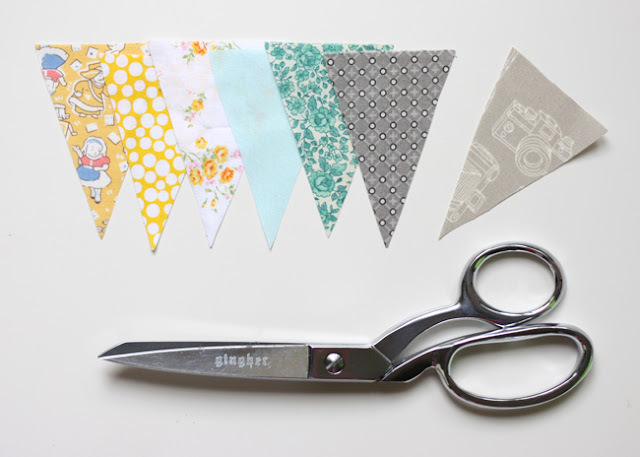 With this stash bunting tutorial you’ll have a new banner in your work space and start day dreaming of projects! Good luck fellow crafters, I’m off to go use a bit of that grey polka dot I forgot I had… Haha! 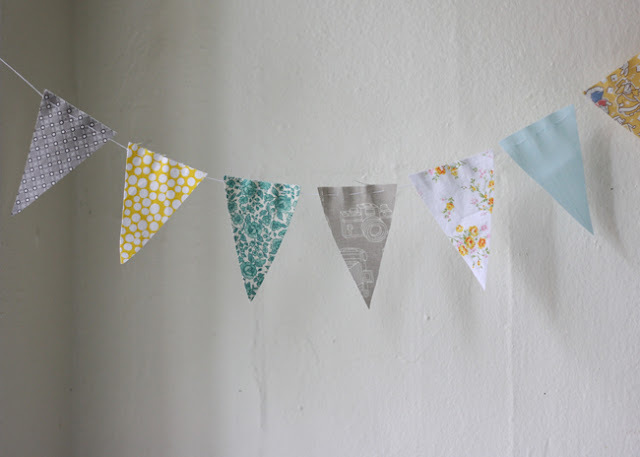 Isn’t this bunting a great idea?! You get to decorate in a cute way and see all your fabric! I definitely need to do this so I can see it all at once. My sewing area needs a little decorating updating. Thanks so much for sharing with us Michael Ann! Neat idea. I might try that.